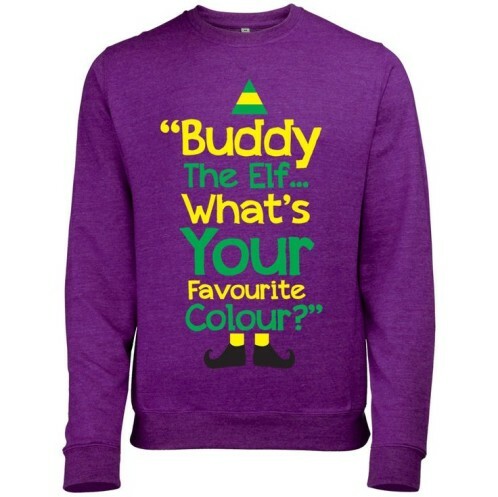 A winter inspired jumper, perfect for those quieter Christmas days. 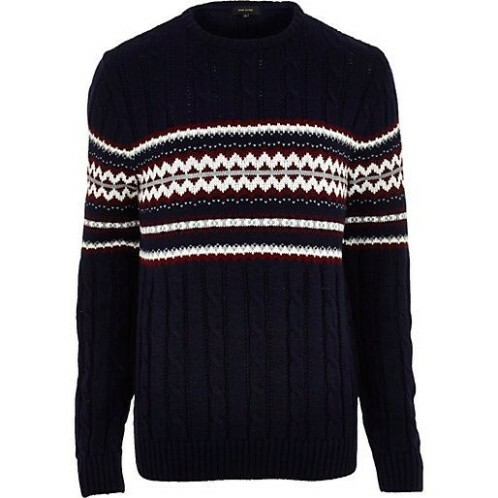 We’re loving the chunky cable knit combined with the fair isle look. 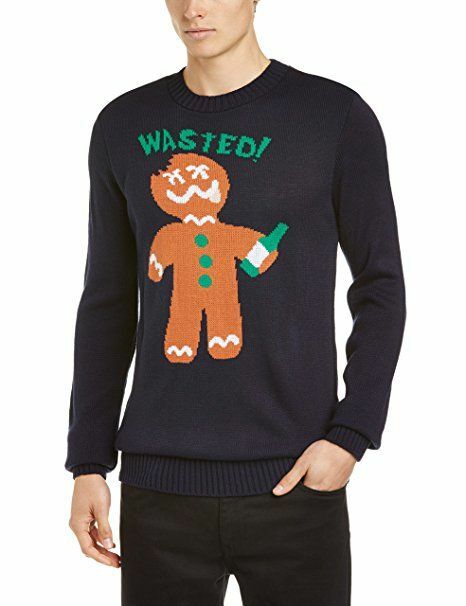 Men’s ‘Ho Ho Ho’ Crew neck Christmas jumper in dark blue. 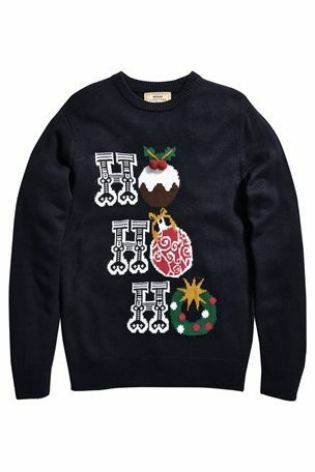 Features two knitted holly berries. 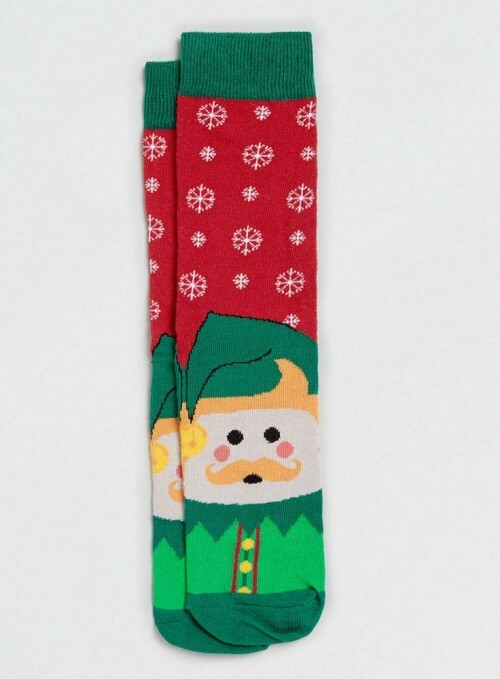 Get all Christmassy down-under with this sassy pair of elfine socks.